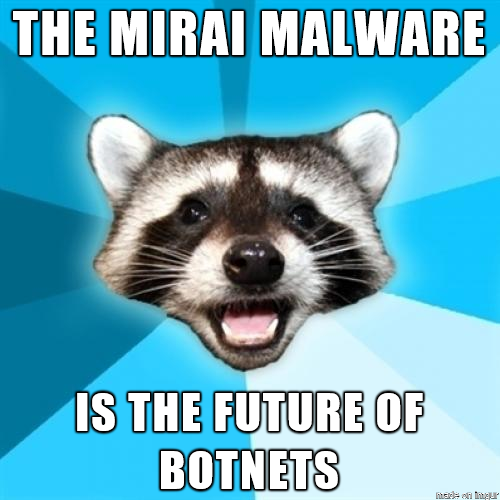 I suspect the name Mirai was based on the character from the Naruto anime/manga, but it translates to "the future" which I further suspect is not the name the anti-malware industry would have selected if they'd have known. Either that, or there are some lame punsters in the anti-malware industry and this is exactly the joke they were making with that name. What are you hiding in these? Someone forgot the meaning of the word "private"